Autohail understands that this storm was a disaster, we just believe that your repair should not be. Susan was heartbroken and was not going to get the hail damage on her cadillac repaired. She was worried about her new car being taken apart and things going wrong. Why is Susan’s claim special? She has been a body shop owner/operator for years. She has seen many other PDR companies and was never impressed. After seeing Autohail perform a demo, she was blown away and she had us start repairing the hail damaged vehicles for the body shop. After about a week of seeing our work, she made her appointment with the State Farm Catastrophe Team to get her damage estimated. Being familiar with insurance, Susan knew that making a hail damage claim would not affect her rates or policy since it is considered an act of nature. After State Farm appraised her damage and wrote her a check for repairs, she scheduled her own vehicle into her shop. 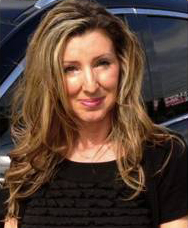 Autohail repaired all of the damage on Susan’s Cadillac. Her vehicle was repaired without painting so her factory finish and manufacturer’s warranty remained intact preserving the value of her vehicle. Her comprehensive Insurance coverage was reinstated. 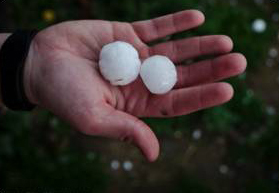 Most people do not realize that if they do not repair the hail damage, other damage may not be fully covered, such as a tree branch falling on the car or a deer hit or even another hail storm. All repairs were completed in one day. Autohail’s estimate was less than State Farm wrote, so Susan was able to keep some money. Her repair is backed by Autohail’s Lifetime Warranty.